I prefer the Standard U-Shaped seat. I would like 1 2 3 4 5 6 7 8 9 of these chairs. 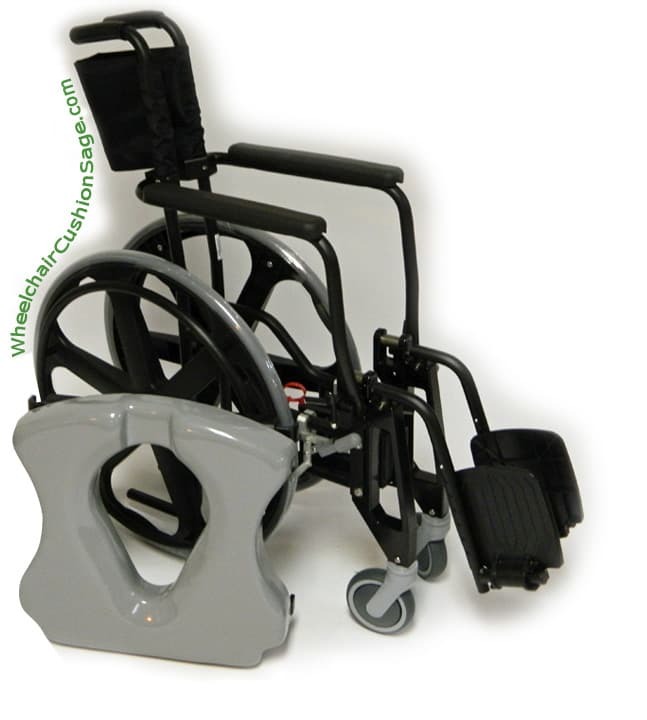 The ActiveAid Shadow 9000 shower commode chair (see larger pictures below) can be generally categorized as a rehab wheelchair. ActiveAid - the manufacturer of this product - specifies this chair as follows. 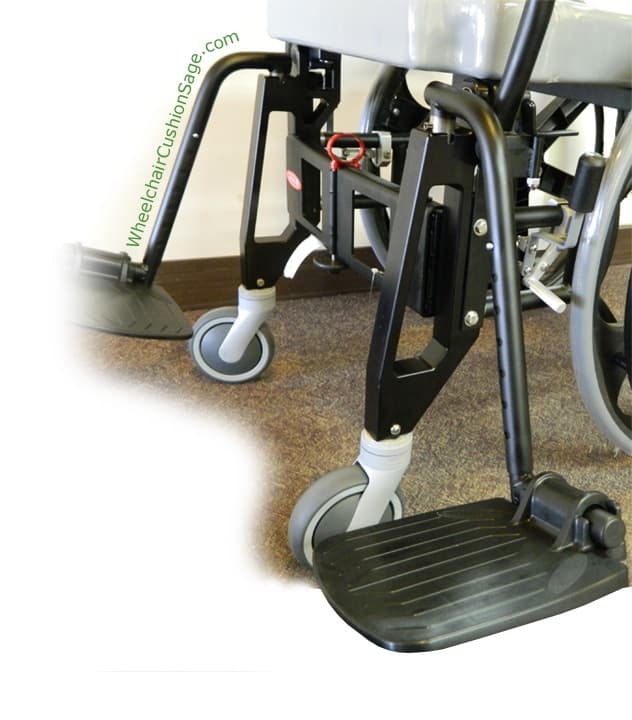 The Shadow 9000 is ActiveAid's dimensionally equivalent version of the Everest and Jennings (now Graham-Field) rehab shower commode wheelchair. The Shadow 9000 can fold from its 25" overall width to 13" wide for storing or transport. 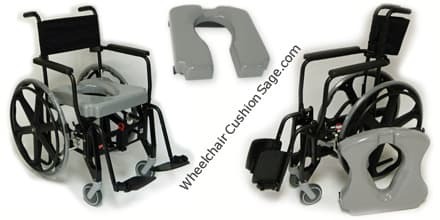 This shower commode chair's frame employs a rectangular folding structure rather than the typical "X" structure used by the Everest and Jennings chair. ActiveAid's rectangular folding structure does not hinder the chair's use over a standard toilet. An adult must sign to receive this chair when delivered by the carrier. 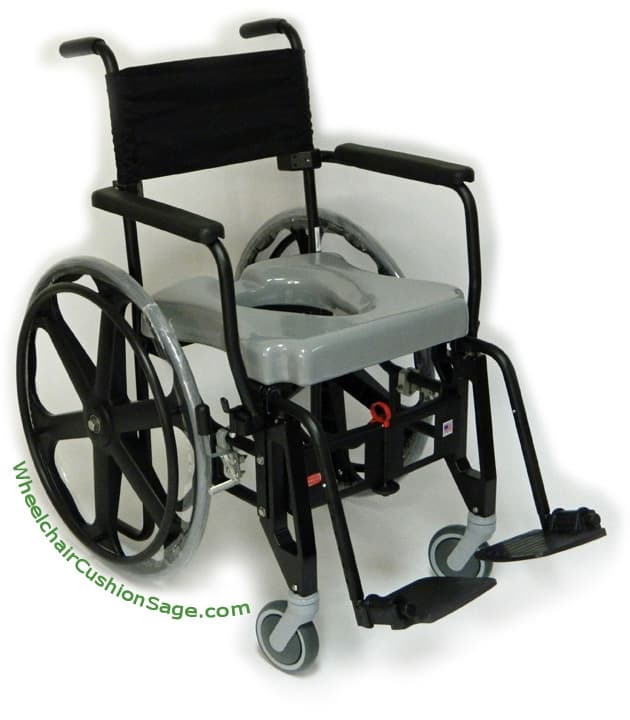 The Shadow 9000 shower commode wheelchair exhibts an under-seat clearance of 17.5 inches, a floor-to-seat-top height of 22.75 inches, 24" rear wheels, and stainless steel fastening hardware. The footplates - the two flat surfaces on which one's feet actually rest - are molded from a nylon material and can hinge upward to; for example, accommodate folding the chair. The foot rest height can be adjusted without tools via a spring-loaded pin mechanism. The foot rest hangers; which includes the footplates, can swing away (i.e., the left foot rest swings left and the right foot rest swings right) or be removed entirely. The swing-away motion must be preceeded by lifting the foot rest hanger approximately three eighths of an inch. 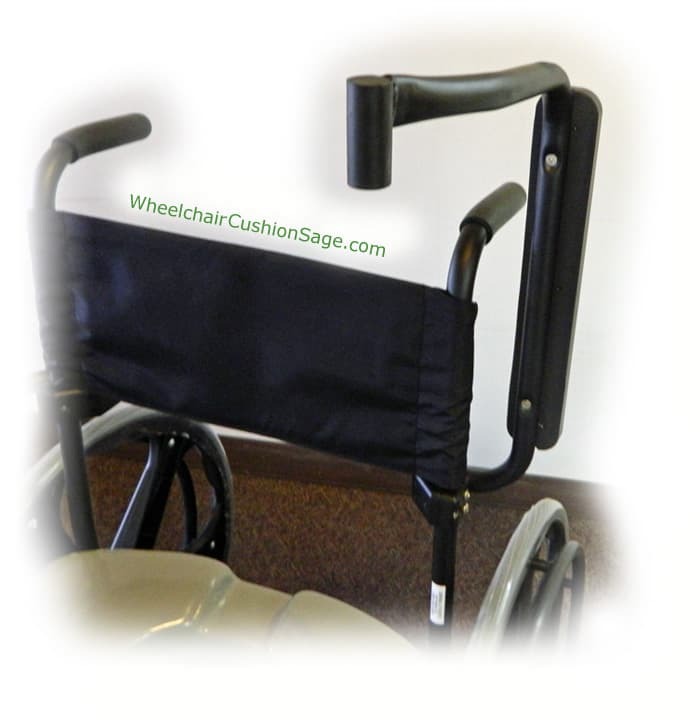 The Shadow 9000 shower commode wheelchair's arms rotate upward and back to permit transferring onto and off of the chair. The chair arms cannot be removed without tools. The standard seat exhibits a pear-shaped opening, a closed (i.e., unseparated) front edge, dual-density foam padding, and inward-curving sides. ActiveAid does not include the pan and pan hanger with this shower commode wheelchair - the pan and pan hanger are optional accessories.